We find that a couple factory options make the whole car more fun. Two boxes checked on the options list set our long-term Audi A4 2.0T Quattro Prestige apart, dynamically, from the rest. One is the Sport Package, and namely the sport suspension with its lowered ride height. The other is the 19-inch wheel package, which includes 245/35 summer tires. 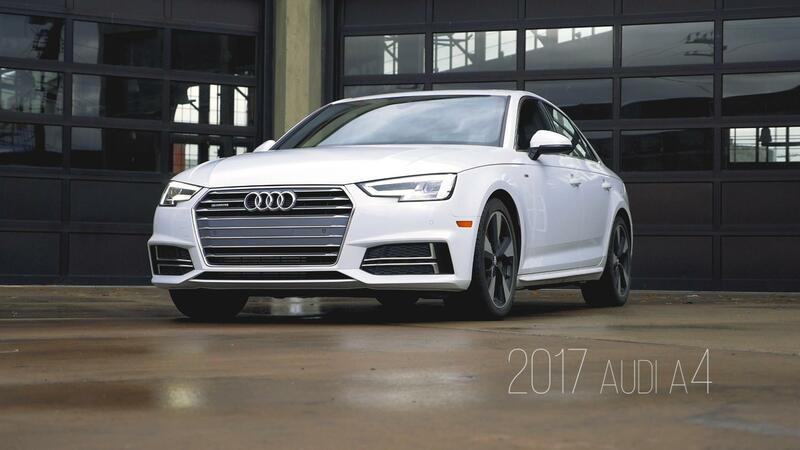 The A4's sport suspension is taut without being rough. The car feels as though it's gliding over the road, but some of the chop makes its way into the cabin. It mostly isn't bothersome, but you can feel – and especially hear – any larger imperfections you happen to hit with one the tires. Our car's 19-inch wheels, with their low sidewalls, amplified the potholes, too. Largely, though, it's comfortable and supremely smooth if the road's not all torn to heck. The sport suspension does an excellent job of eliminating squat and dive, and side-to-side body roll, which aids comfort. That ride makes for really smooth sailing in your daily driving duties, especially since the rest of the car feels so civil. The transmission works smoothly and seamlessly in the background in automatic mode. We do notice some of the gear changes if only because we're tuned into how impressively smooth and quick they are. On its own, the transmission tends to shift low in the rev range so you don't get a lot of engine noise with normal driving. We know that there's some athleticism hiding under this car's preppy facade when we look down at the speedometer and realize we're going quite a bit faster than it feels. It's so well composed, though, that we'd be perfectly okay with putting our grandmother in the passenger seat without feeling like we were going to freak her out if we were to happen to exceed the posted speed limit. Our personality and that of the car changed, becoming more aggressive. back of the steering wheel, the A4 transforms into a truly engaging driving machine. It shifts very quickly, and the sound of the engine becomes more noticeable in part because you can rev it higher, but also because you're more tuned into it. Upshifts and downshifts happen in an instant, to help make full use of engine's sweet spots. When we switched over to full fun mode, we felt like both our personality and that of the car changed, becoming more aggressive, which felt odd in such a minimalist, architectural sort of sedan. It's an especially surprising transformation because in normal driving, the car feels so neutral and unimposing. As you push it harder, it still feels super smooth, calm, and confident. Partly because it stays so flat and stable, you get more feedback through your hands, feet, and ears, with the lack of pitch and roll keeping your inner ear from working overtime. Interestingly, while Dynamic mode doesn't change any suspension settings (the sport suspension is a fixed-rate deal), it almost feels like it does. The tighter steering transmits more road feeling, and causes the car to react to slighter inputs, which means more motion with less effort. The lateral grip from the big tires and the sport suspension's utter flatness mean we feel pretty confident pushing this A4 hard. Ratcheting up the aggressiveness, we become increasingly impressed with how locked down it feels, even as we get squished into the bolstering. As lateral G forces build, not much happens to the car's composure. We're not going to test the car's limits on public roads, but taking small steps to approach them sure make us feel like we're doing something right in our life. After having that experience with the A4, hopping back in for the usual boring commute somehow isn't as dull knowing that it's ready to play at a moment's notice. All said and done, its duality really kind of makes it a special car despite its unassuming appearance. Driving around town the way one normally uses it, its athletic prowess remains hidden, tucked away behind a peaceful demeanor. That's great because it's easy to drive and easy to drive comfortably for your passengers as well. Once you've established that bond through physical activity, though, you begin to feel a connection to the car, even when you're just taking Grandma out to dinner.